Samsung F8000 is Samsung’s line of Full HD LED TV and member of Samsung Series 8. They are Smart TVs that enables you enjoy online contents and contents on your mobile devices and computers on the brilliant TV screen. Samsung F8000 are available in numerous screen size, notably 40-inch, 46-inch, 55-inch, 60-inch, 65-inch, or 75-inch screen with model numbers Samsung UE40F8000, UE46F8000, UE55F8000, UE60F8000, UE65F8000, and UE75LA8000 respectively. 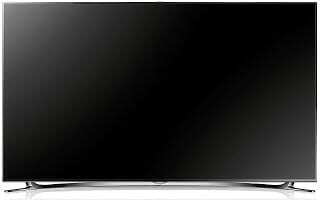 Samsung’s Series 8 is one of the top TV series with F8000 family being the best priced members of the series. Samsung F8000 are top grade Smart TVs with some of the latest features. You can stream videos and movies direct on your TV screen. Just like your smartphone you can download and run apps for entertainment, social media, learning, and fitness. Samsung F8000 LED TVs come with a built-in camera which can be used for video chat as well as other features like face recognition. The TV line also supports the use of natural language to access features. The TV can recognise voice commands and respond appropriately like changing volume, selecting show, or changing channels. They can also learn your preferences with time and use them to refine recommendations of the type of TV shows you would like. Samsung F8000 LED TVs also support gestures with motion sensing, so you can control your TV by waving your hand or making some appropriate gesture with your hands. You can watch two channels simultaneously, one on the TV and the other on another device (like a tablet), that way two family members can enjoy their favourite programme without inconveniencing each other. Samsung F8000 LED TV line comes with a brilliant design that makes the screen the central focus. The bezel is super slim and stays out of the way. All members of the TV line offer Full HD resolution with 2D and 3D conversion. Depending on the model, two or four 3D glasses are included in the box. The Screens are built on LCD with LED backlight and Samsung’s Micro Dimming Ultimate technology, which offers improved contrast and better picture quality. Samsung F8000 Full HD LED TVs are available in 40-inch, 46-inch, 55-inch, 60-inch, 65-inch, and 75-inch models. You can buy these TVs at reputable online stores, leading retail chains, as well as Samsung Electronics stores in Nigeria. The 46-inch, 55-inch, and 65-inch Samsung LED TV price in Nigeria ranges from N380,500 to N450,000, from N546,000 to N610,000, and from N892,000 to N995,000 respectively.